What is the ‘value’ of CDA partnerships in their formative and developmental stages? Origins introduces critical questions about the current relationship among universities, Independent Research Organisations and the heritage sector. It prompts a reflection about the role of cultural and educational policy in facilitating and fostering collaboration. We consider the foundations of the CDA scheme alongside the challenges, merits and problems of working collaboratively. Panellists from diverse policy, heritage and academic contexts explore the scope, criteria and funding of CDA doctorates as well as their own involvement as stakeholders in the process. How do you define value? Is it already established in CDA proposals? What are the challenges and possibilities of CDAs in so far as their scope is often defined and/or framed a priori? What do you think has prompted the trend to generate and extend CDA partnerships in the Arts and Humanities? How do you see your involvement as a stakeholder in the genesis of a CDA project? Can different stakeholders hold competing interests? How are they negotiated? What makes a successful application for CDA funding? Is this different from other AHRC proposals? How does the funding of CDA projects make them ‘valuable’ and where does this fit with cuts to funding in museums, libraries and archives? Might CDAs provide money, time, labour and expertise that museums can no longer acquire elsewhere? Dr Ian Lyne is an Associate Director of Programmes, and joined the Arts and Humanities Research Council (AHRC) in 2012. He previously worked as Head of Policy in the Research Councils UK Strategy Unit, and as Head of Skills and Careers in the Biotechnology and Biological Sciences Research Council. Ian joined the Research Councils in 2004 after working at the Universities of Exeter and Durham, and prior to this was a British Academy Postdoctoral Research Fellow in Philosophy at the University of Warwick. Ian is one of two Associate Directors in AHRC and he has lead responsibility for AHRC’s postgraduate training programme, including the Collaborative Doctoral Awards (CDA) and Collaborative Doctoral Partnership (CDP) schemes. His remit also covers: Fellowships and research leadership development; Career development for arts and humanities researcher with and outside academia; Research capability in modern languages; Supporting the contribution of arts and humanities to public policy; Equality and Diversity in AHRC’s funding and policy; and Research Integrity and good research conduct. Margot Finn is Professor of Modern British History at UCL, where she currently co-supervises (with Sarah Longair of the British Museum) a CDA on the Museum’s East African collectors and collections. The author of monographs on English radical politics and on debt and credit in English culture, Margot is currently completing a book on the family and the East India Company. Her Leverhulme-funded East India Company at Home project http://blogs.ucl.ac.uk/eicah/ explored the Company’s material cultures alongside museum and community-based researchers. She is a trustee of the Victoria & Albert Museum. Jade French is a writer, curator and visual artist who has been running participatory arts projects since 2008. Jade predominantly works alongside people with a learning difficulty to explore the intersections of art, disability & social change, but has broader interests in art gallery accessibility, co production and cultural policy. After initiating and winning an AHRC Collaborative Doctoral Award in 2014, Jades current Ph.D research is a practice led study in collaboration with The University of Leeds, self advocacy charity Halton Speak Out and arts gallery The Bluecoat. The research aims to explore the potential for participatory curatorial practice by people with learning difficulties to act a site for self advocacy, resulting in a curated exhibition at the Bluecoat in Autumn 2016. What constitutes innovation in a CDA project? Does innovation implicate improved value, impact and/or legacy? Who are its beneficiaries – the student, the university, the institution, the public? This session will showcase specialised methods and techniques from 5 CDA students, past and present, and explore how they have made a unique contribution to their respective fields and/or institutions. Speakers will also consider the challenges they have faced in the implementation of innovations, reflecting on the wider culture of their home institution and the ways in which the CDA scheme might enable or disable certain innovative approaches.  How might the CDA open up unique research opportunities, and what is the agency of the student in this process? 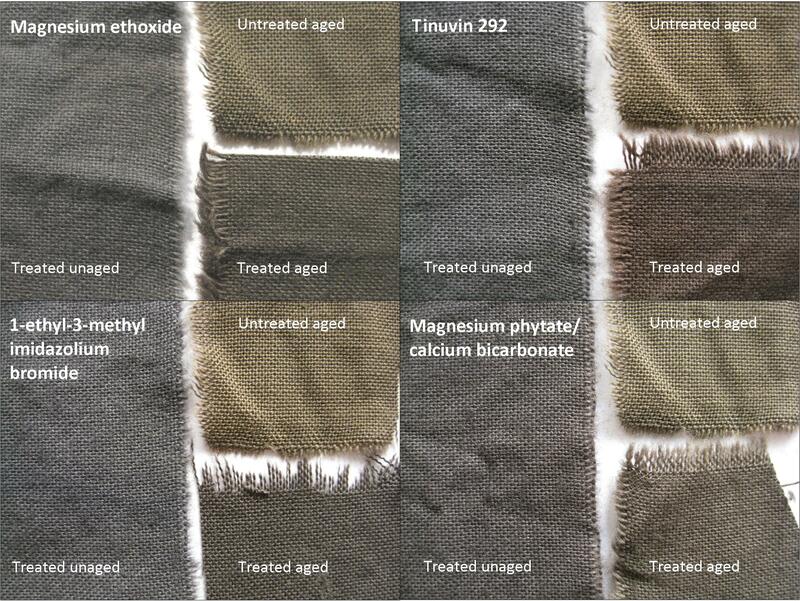  What gain might the university or heritage institution have from such innovations?  To what extent are the university and heritage contexts similar or different in providing an environment conducive to innovation?  Are these innovations a prescribed research output or did it emerge organically in the course of the research project? Speaking to these issues, panellists will illustrate a variety of innovations, such as the development and use of software for mapping quantitative and qualitative historical data and oral histories, the application of chemical analysis for conservation purposes, collaborative film production, and the creation of new partnerships between public institutions, private art collections and their visitors. The session draws on the experience of CDAs involved in different partnerships to cross-examine the value attached to innovation, and the ways in which it is generated and mobilised. ‘Designing a Profession: The Structure, Organisation and Identity of the Design Profession in Britain, 1930-2010,’ University of Brighton and Chartered Society of Designers. Dr Leah Armstrong is University of Brighton Research Officer in Contemporary Design Culture at the Victoria and Albert Museum, where she programmes the Design Culture Salons. She is also Research Assistant at the Glasgow School of Art and teaches on BA Humanities at the University of Brighton. She completed her CDA ‘Designing a Profession: The Structure, Organisation and Identity of the Design Profession in Britain, 1930-2010’ in 2014 with the University of Brighton and Chartered Society of Designers. Julia Binter’s CDA project looks at material culture, trade and cultural exchange in the 19th century Niger Delta and related memory practices in the UK and Nigeria today. 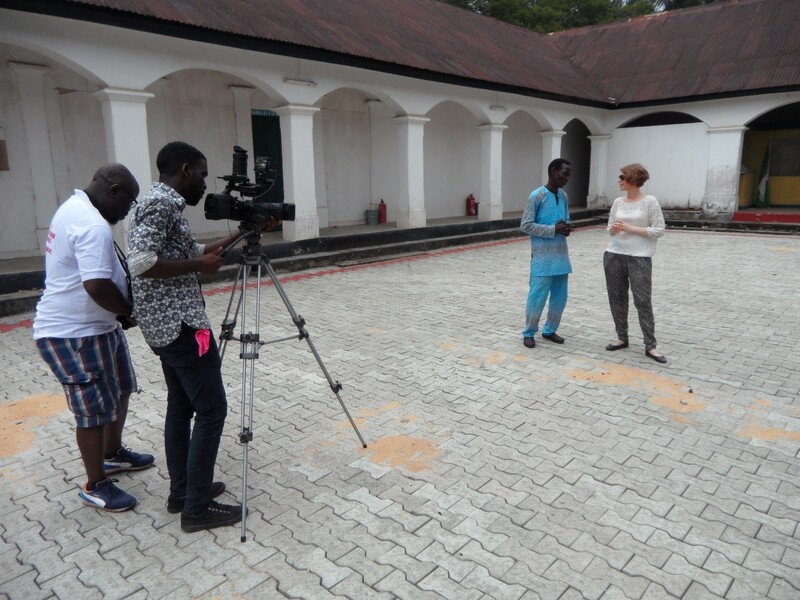 She is currently participating in a documentary film project which brings together museum collections and heritage experts in the UK and Nigeria. Julia studied Social and Cultural Anthropology as well as Theatre, Film and Media Studies in Vienna and Paris. She taught at the University of Vienna and worked as Assistant Curator of the Africa Department at the Weltmuseum Wien. Her publications include “Unruly Voices in the Museum. 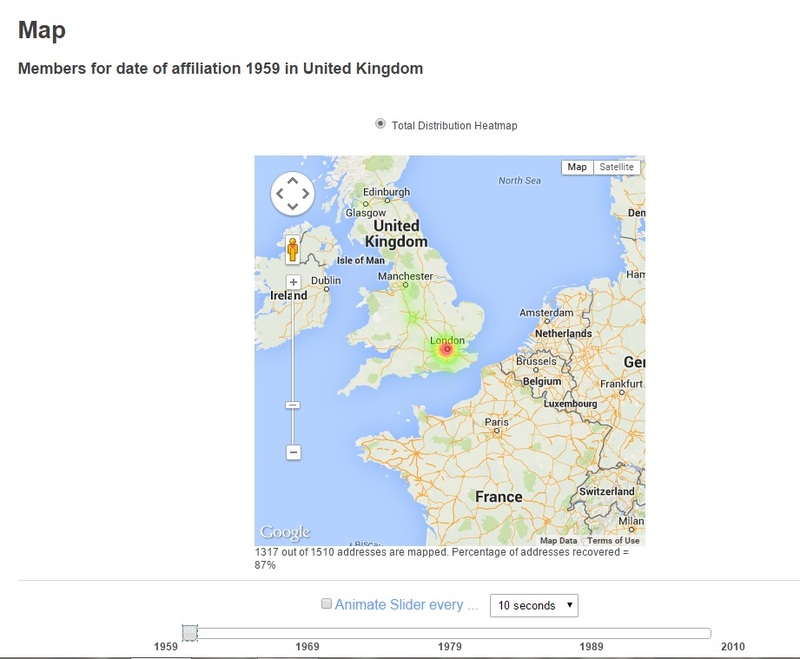 Multisensory engagement with disquieting histories”, The Senses and Society 9(2): 342–360, 2014. 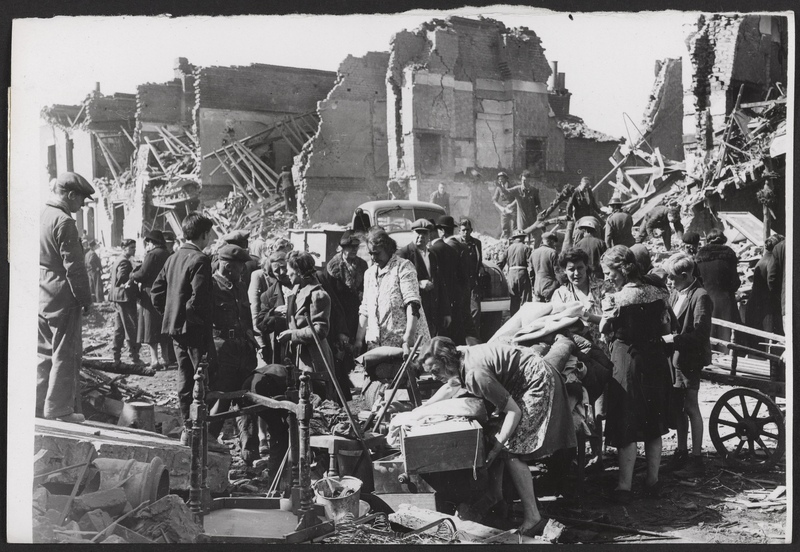 CDA project: ‘’The Scars of War: Ruin, memory and loss in photographs of London, 1940-1945,’ University of Edinburgh and Imperial War Museum, London. Jane McArthur is a second year cultural studies PhD AHRC CDP student at the University of Edinburgh and Imperial War Museum, London. Her work focuses on an un-catalogued archive of some 9,000 photographs of London during the Second World War known as the Ministry of Information Press and Censorship Bureau Photograph Library. These photographs reveal the impact of bombing on the civilian population, 1940 – 1945. Jane has worked for over twenty years as a curator and visual arts consultant, mostly in the public realm. 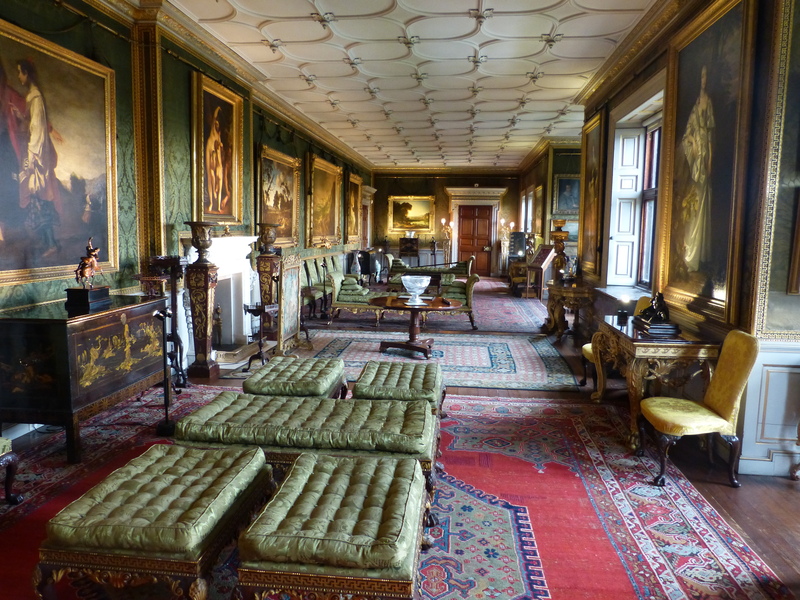 CDA project: ‘Patronage, Acquisition and Display: Contextualising the Art Collections of Longford Castle during the Long Eighteenth Century,’ Birkbeck, University of London and National Gallery, London. Amelia’s research interests pertain to the history of collecting, eighteenth-century art, and the country house. In 2015, she co-organised the international scholarly conference ‘Animating the 18th-Century Country House’ (National Gallery/Birkbeck/Paul Mellon Centre). Prior to her PhD, Amelia studied at the Courtauld (MA Curating the Art Museum, 2013, Distinction) and UCL (BA History of Art, 2012, First), and gained experience working for the National Portrait Gallery and National Trust. University of Manchester and British Museum. Dr Wilson is a heritage scientist at The National Archives, Kew in which she provides the scientific evidence to support conservation decision-making in the Collection Care Department. On completion of her Masters degree in chemistry from the University of Oxford (2007) Helen undertook a 1 year ICON HLF conservation science internship with the Pigmentum Project, London (now Art Access & Research). In 2012 Helen completed her AHRC/EPSRC CDA with the University of Manchester and the British Museum as part of the Science and Heritage Programme. A legacy is something left or handed down by a predecessor. When considering whether a CDA has a legacy, and what kind of legacy, we must acknowledge that there are multiple predecessors: from the CDA student, leaving an accumulated body of technique and knowledge to the public domain; to the universities and heritage organisations handing down unique expertise to the student. The list of predecessors and inheritors is mutual and far-reaching. What is legacy or impact in the CDA programme? Do CDAs need to demonstrate a legacy and why? 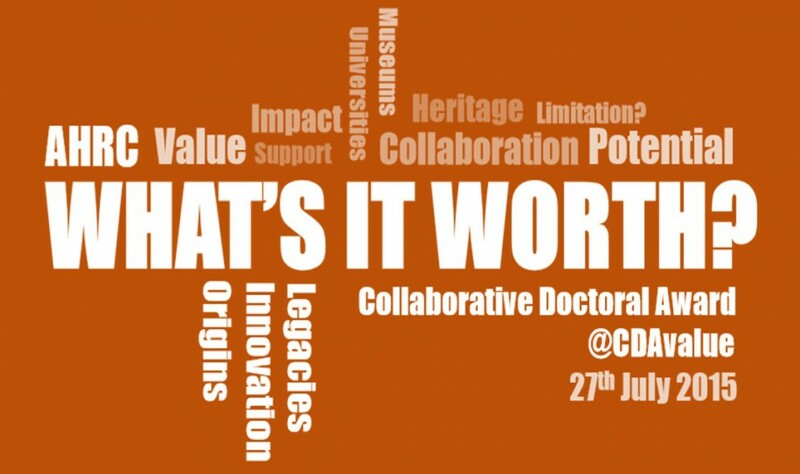 Do universities and heritage organisations expect legacy from the CDA? What kind? This session will bring together panellists from academia and heritage, all of whom have experience that bridges and extends beyond these two sectors. As predecessors and inheritors of CDA legacy they will discuss what in other words, the outputs, impacts, lasting effects, and reverberations of the CDA could and should be. If all CDAs are intended to have a legacy, what challenges does this present to participants? Equally, how might having a legacy expectation from the outset strengthen the research? In order to meet an obligation to legacy, must all CDAs be innovative? What constitutes this? Central to such a discussion is an acknowledgement of the wider frameworks that dictate the course of research and collaboration and how these influence the CDA experience. This includes the influence of funding and policy for education and heritage on research remits. This also includes the wider world of expectations in which the CDA student operates, such as personal career development and future salaries. Whether student or institution the question of a stable and secure future, in which the legacy of the CDA plays out, is of utmost importance. What is the potential impact of the CDA on the career of CDA students? Is the CDA a viable way for training future curators? If legacy is important how can it be incorporated in order to fulfil programme expectations? Alexandra Goddard is Exhibitions Manager at the British Library. After receiving a Masters degree in Early Sienese Painting from the Courtauld Institute she worked at the V&A as a curator in the Sculpture Department. Following that she was Assistant Keeper – Interpretation and Exhibitions at The Geffrye, Museum of the Home where she developed a strong interest in Twentieth Century and contemporary interiors and social history with particular expertise in the Utility Furniture scheme and the post-war period. Bill Sherman is Head of Research at the V&A and Professor of English at the University of York. He was the founding director of York’s Centre for Renaissance & Early Modern Studies and is leading the development of the V&A Research Institute. He has published widely on the history of books and readers, the plays of Shakespeare and his contemporaries and the relationship between word and image. Dr Kevin Moore has been Director of the National Football Museum since the beginning of the project in 1997. He is an experienced museum professional of international stature. He is regularly invited to give papers at museum conferences around the world, and has published a number of major books about museums, including the internationally acclaimed Museums and Popular Culture, Museum Management, Management in Museums and Sport, History and Heritage. Kevin is chair of the Sport in Museums Network, the organisation of the UK’s sports museums, libraries and archives, which is recognised as an important Subject Specialist Network by ACE. He is a Visiting Fellow at the University of Central Lancashire and De Montfort University and a Fellow of the RSA. Eithne Nightingale is researching Children, Migration and Diaspora as part of an AHRC funded Collaborative PhD between Queen Mary University and the V&A Museum of Childhood. She was formerly V&A’s Head of Equality and Diversity and has lectured extensively on equality and diversity in museums both in the UK and internationally. She is co-editor of Museums, Equality and Social Justice published by Routledge in 2012. Eithne is also a consultant, photographer and travel/fiction writer. See eithnenightingale.wordpress.com for her blog on migration and museums. Dr Farah Karim-Cooper is Head of Higher Education & Research at Shakespeare’s Globe and Visiting Research Fellow, King’s College London. She is Chair of the Globe Architecture Research Group and recently oversaw and co-ordinated the research for the construction of the Sam Wanamaker Playhouse. She is author of Cosmetics in Shakespearean and Renaissance Drama (EUP 2006/2012) and The Hand on the Shakespearean Stage: Gesture, Touch and the Spectacle of Dismemberment (Arden/Bloomsbury 2016); she is co-editor of three collections: Shakespeare’s Globe: A Theatrical Experiment, with Christie Carson (Cambridge University Press, 2008); Shakespeare’s Theatres and the Effects of Performance, with Tiffany Stern (Arden/Bloomsbury 2013); Moving Shakespeare Indoors, with Andrew Gurr (Cambridge University Press, 2014). Karim-Cooper has co-supervised two Collaborative Doctoral Award Students and has implemented a doctoral training program at Shakespeare’s Globe. With ‘What’s It Worth? 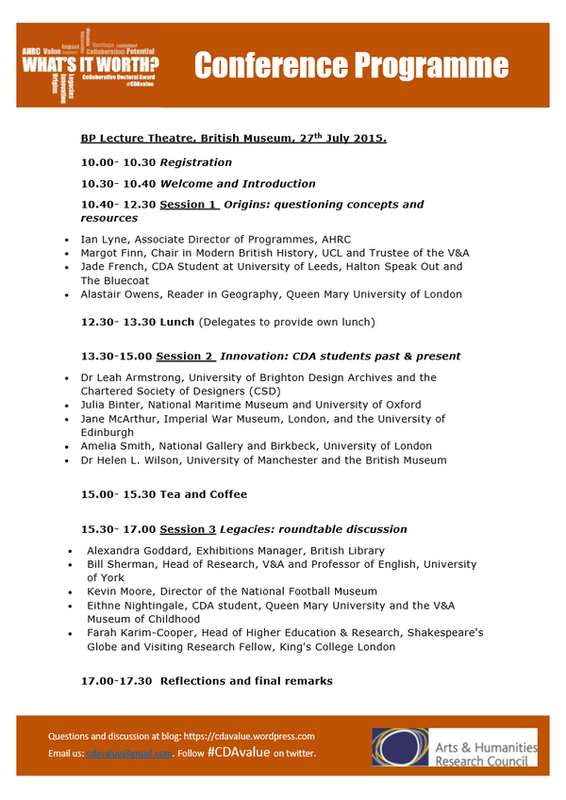 The Value and Potential of the CDA’ fast approaching, we are pleased to provide the final versions of our programme and speakers’ details for the conference, at the British Museum on Monday 27th July, free to attend. We will also be blogging more in-depth descriptions of the panels, and some ideas for questions which will be discussed by the speakers. There is still time to register to attend, please click here . We will also be tweeting all day and encourage questions, thoughts and comments to be put to our panels on social media as well, using #CDAvalue. We would love to hear your feedback too, and hope to incorporate some of your thoughts into this blog, so please comment below! Eithne Nightingale, CDA student, Queen Mary University of London and Museum of Childhood, V&A, and Head of Diversity and Equality at V&A. Bill Sherman, Head of Research, V&A, on secondment from the University of York, where he was Director of the Centre for Renaissance & Early Modern Studies. If you would like to come along to what is going to be an interesting day of lively discussion, register here, or to get involved in other ways, leave a comment on this blog, or tweet us @cdavalue with questions, comments and your thoughts.